NEOM depends on genius projects capable of approaching the impossible. “NEOM is a dreamland for whomever may possess the ability and fortitude to innovate for all mankind.” With these simple words, a new era was ushered in the Arabian Peninsula at the official launch of NEOM by Mohammed bin Salman, Crown Prince of Saudi Arabia. The acronym NEOM is composed of two parts: The first is derived from the Latin word neo (new), and, the second, letter m, represents the Arabic word for future: mostaqbal. Collectively, NEOM spells “New Future!” A place where innovative technologies call home, it’s where dreams come true. A place where ambitious and creative minds come together and compete in a knowledge-based society to bring about prosperity for all. A utopia on Earth, if you will. One of its many aspects, and there are quite a few, is to export innovation and secure a leading position for the country among technologically advanced and self-sufficient nations of the world. Through integration of national pride and scientific exploration into the fabric of an ancient society anchored deep in tradition and values, the Kingdom of Saudi Arabia. Saudi Arabia is entering a new era of the Fourth Industrial Revolution (4IR) with gusto. One such innovative approach is Project CODE. 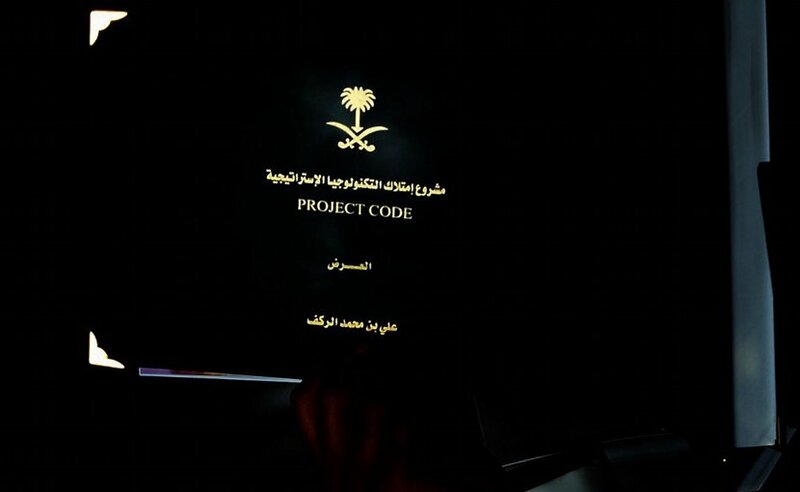 Project CODE is a Saudi strategic project based on the localization of current and future technology, where there are multiple ways used as neural computation and where quantum physics supports the development of visualization technique to present new definitions of future technology. That approach helps to create a framework technology on a strategic level, making Saudi Arabia in the ranks of owner states of cutting-edge technology strategy. Through an accelerator dubbed Project CODE, NEOM shall impact developing technologies in an unprecedented way, based on a unique philosophy to introduce new paradigms and attain necessary capabilities to explore advanced technologies in the quantum realms. This path may very well exceed known limits of industry, trade, security, and defense. Think of it as a strategic initiative to ensure the necessary social and political transition for the kingdom. To make this plan a reality the government has earmarked a colossal sum of more than $500B through its sovereign wealth fund, Public Investment Fund (PIF), in addition to domestic and foreign investors. The Project CODE vision for all funds are partly derived through intellectual property valuation of Project CODE. World renowned academic institutes, advanced research labs, and progressive think tanks will have an important role in the development of NEOM over an area estimated to be square 10,000 square miles in northwestern Saudi Arabia. This “civilizational leap for humanity” would not be imagined if it were not for Mohammed bin Salman’s ambitious vision, nor would it be possible without the support and guidance of the Custodian of the Two Holy Mosques, King Salman bin Abdulaziz. Today’s Saudi leadership is the most timely and progressive in the country’s history. Project CODE aims to produce electronic coins (E Coins) to serve the supporting companies projects in Saudi Arabia, particularly in NEOM. E coins will be the lead off technology added and marketing control system, all requiring Intellectual Property (IP) rights and patents. The estimates of the IP value and patents will create 17 times the revenue required. Intellectually, Project Code will be able to form the Project Code Think Tank that will house the greatest thinkers on financial exchange and commerce with increasing rights to IP. To be sure, Project CODE’s future involves mathematical models. Artificial Intelligence (AI) is to prepare forward-leaning technologies in health and food, medicine, education, and energy formulas. In addition, Project CODE is also focusing on how restructuring the creative thinking necessary to function in a technological future. Clearly, intellectual property rights and patents are necessary and are occurring now. Project CODE cannot thank Crown Prince Mohammed bin Salman enough. He deserves credit for the forward-thinking vision of NEOM. His Highness is making important strides to making Project CODE is one of but many savvy components of NEOM’s future and is relevance to further development of a 4IR. What Is Project Code ?